St. Enda’s members met for the Annual General Meeting on Tuesday 17th January at a well attended meeting in the club rooms as they reflected on the 2016 season. Club Secretary Paul Breen looked backed on year that delivered little in the way of trophies but reflected that a successful club relies a lot more on trophies; friendship, respect, appreciation and togetherness and that St. Enda’s had plenty of those qualities. All of which were all equally important in making our club one of the most formidable clubs in the county and country. 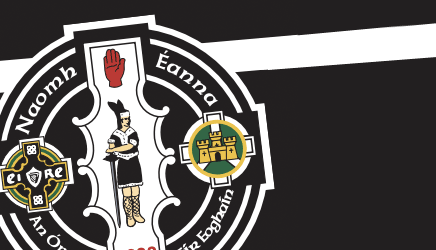 A detailed finance report for the year was delivered by Club Treasurer Paul Meldrum who urged members to continue their great support for fund raising events throughout the year as the financial demands for running a complex club structure like St. Enda’s was significant. Prior to the election of officers, Club Chairman John McElholm announced that he would not be standing for re-election. In his announcement John said that “I hope you continue to serve the club for many years to come. It has been a honour for me to serve as chairman of this great club.” John thanked his wife Christine and family for the support and understanding that they have shown during his time on committee with St. Enda’s. Newly elected Club Chairman Paul Breen thanked outgoing Chairman John McElholm for the tremendous work and effort he has done during his tenure as chairman “the leadership shown by John has left the club in great shape going forward into 2017.” Paul congratulated all those who have been elected to serve on committee for 2017 and especially those new members elected. Thanking the outgoing members who have stood down this year. 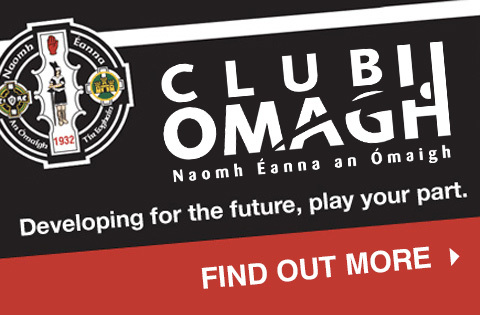 A number of club officials were returned unopposed but there are a number of new faces on the Omagh committee for 2017 with Mark Gormley as Assistant Secretary, Conor Hannigan and Jason McAnulla as the Senior Football Officers, Gerard Fox as the Senior Hurlers Player Representative with Dominic McClements returning to the fold in a new role as the Senior Hurling Officer. Coaching Officer – Joe McMahon.